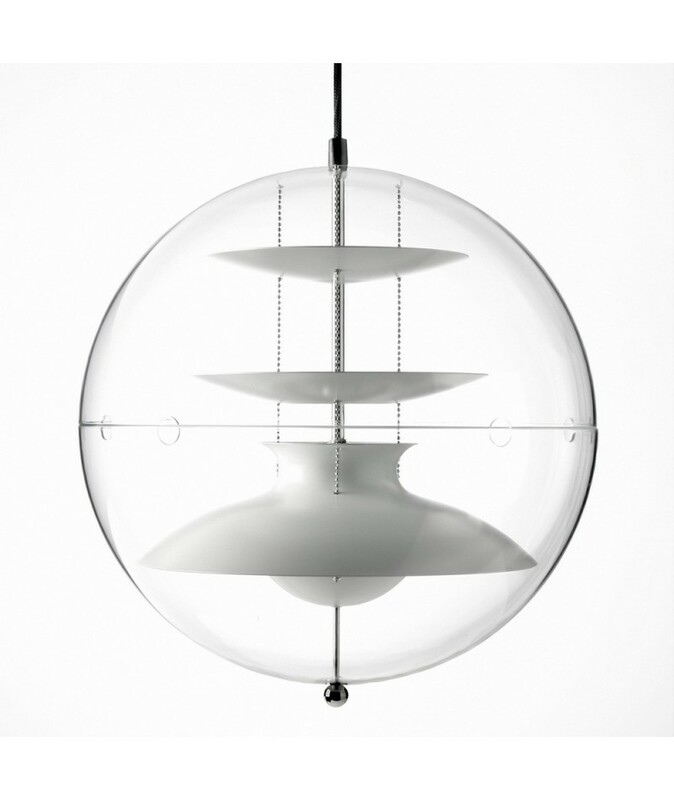 Verner Panton’s Panto pendant is made of a transparent acrylic globe, containing three concave reflectors in white aluminium, suspended by three steel chains. 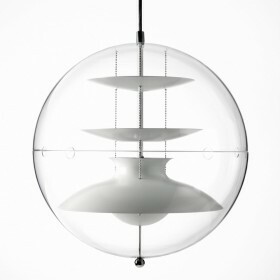 The diffused light is omnidirectional and the intensity never varies. 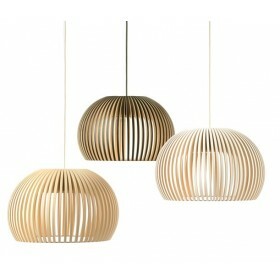 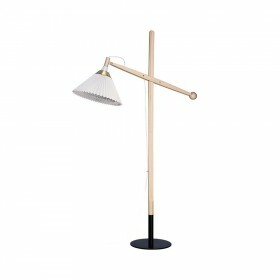 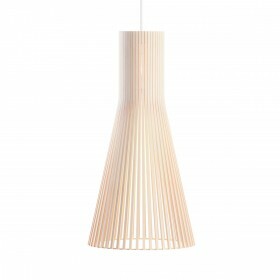 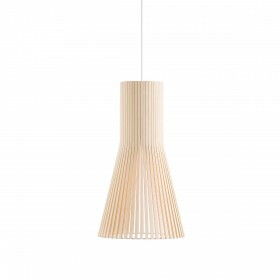 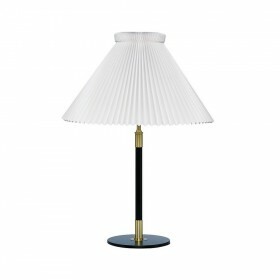 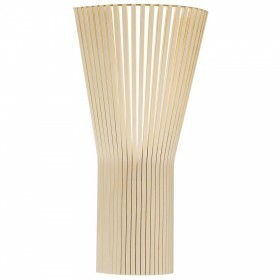 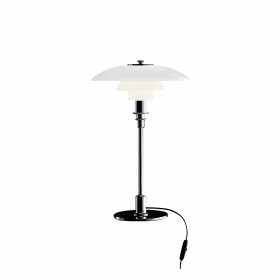 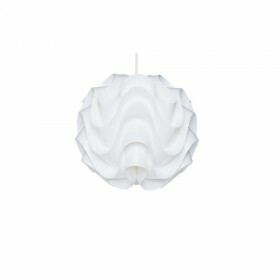 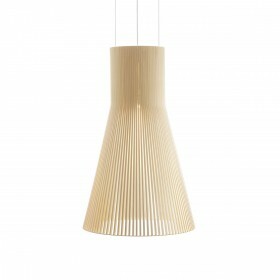 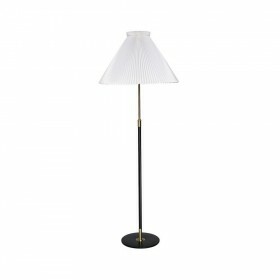 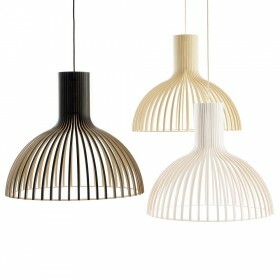 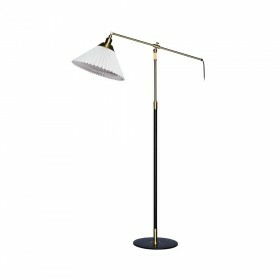 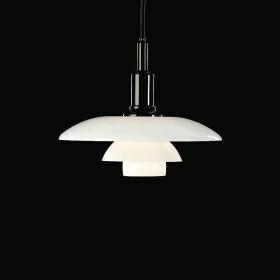 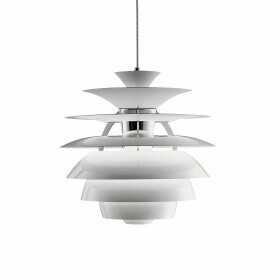 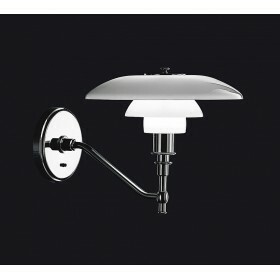 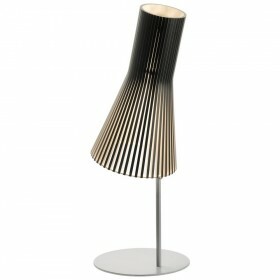 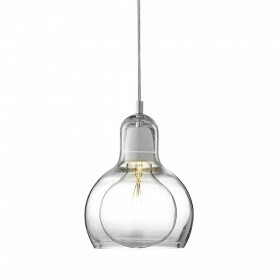 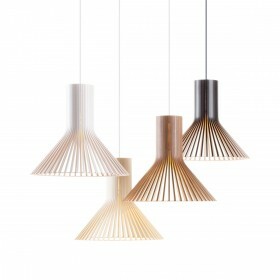 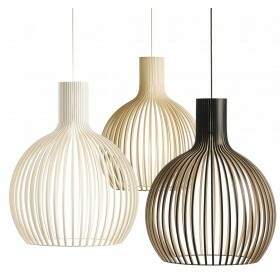 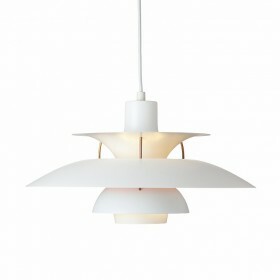 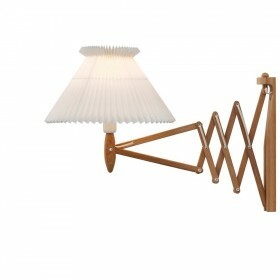 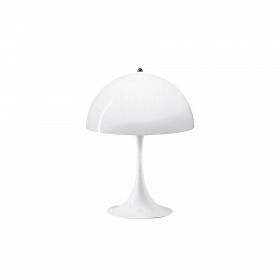 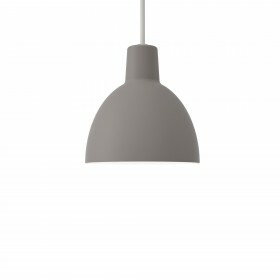 The power supply cable in white fabric, as well as the ceiling rose in chromed metal give the lamp a modern finish. The globe-shaped structure gives the central sculpture a light and floating appearance, and is clearly influenced by the Space Age era of the 1960s. 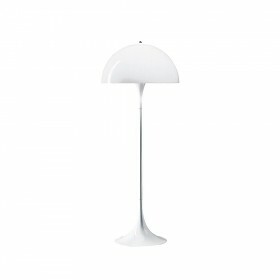 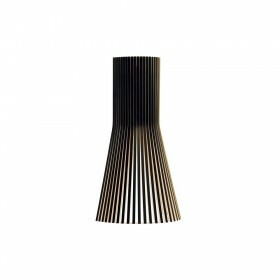 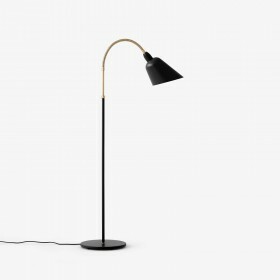 The signature of designer Verner Panton is engraved on the metal end of the cable, and guarantees both the origin and quality of the lamp. 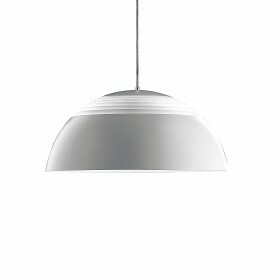 400 cm (157.5") white fabric cord.